The Italian team looked on track to take on Mercedes this year, but in Australia, Bahrain and now in Shanghai it was the German outfit with 1-2 finishes. Not just that, Ferrari is now embroiled in a team orders scandal after telling Charles Leclerc to move aside for Sebastian Vettel. "If there is a 30 million dollar man and a 2.5 million dollar man, then the hierarchy is already quite clear," pundit Toni Vilander told Finland's MTV. But Corriere della Sera declared after the race: "It would be better if Ferrari finally understood that they have hired the right driver and it is Charles Leclerc. "Maranello should take the captain's armband from Vettel and give it to Leclerc." Leclerc was obviously upset and angry about the decision during the race in Shanghai, but afterwards said he would not cause a controversy with "silly" comments. "The guys on the pitwall know the bigger picture better than I do," he told reporters. But former F1 driver Ralf Schumacher told Sky Deutschland that Leclerc was "sacrificed" by Ferrari in China. Leclerc responded: "I wouldn't go that far. We are a team, and today it didn't work out for me but as a team we tried to do the best job." Team boss Mattia Binotto said: "I'm glad he talks like that because it shows maturity. "It is clear that his race was a bit compromised, and if Charles is upset or angry, he has a right to that. But we tried to give space to Seb to see if he could keep the pace of the Mercedes. "At that stage we absolutely had to try something," he added. 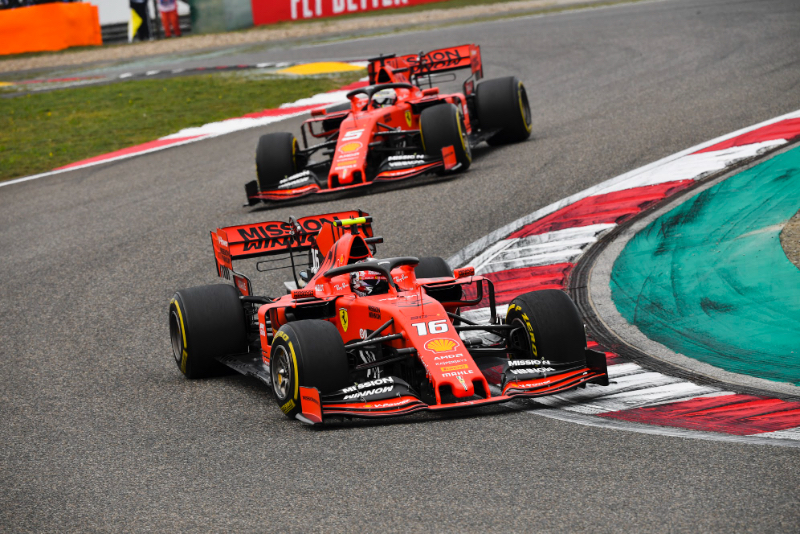 Indeed, the main problem for Ferrari is that despite all the signs that it can take on Mercedes this year, so far the Brackley-based team has been stronger overall. "We tried to stick with them today but we just couldn't," said Vettel. "I think these couple of weeks will be very important for us to understand where we need to go in the next months." And, like Leclerc, Vettel also didn't want to fuel the media's team orders fire. "I don't want to answer that because I'm a little bit against the way you (reporters) work," said the German. Mercedes' Toto Wolff, however, said that it is Ferrari that is playing with fire. "It is also clear that if you start doing this type of thing, then you open Pandora's Box," he said. "We went through this with Nico Rosberg and Lewis Hamilton and later with Lewis and Valtteri. It's not a Ferrari problem, it's a problem for any team that has two alphas at the wheel," said Wolff.